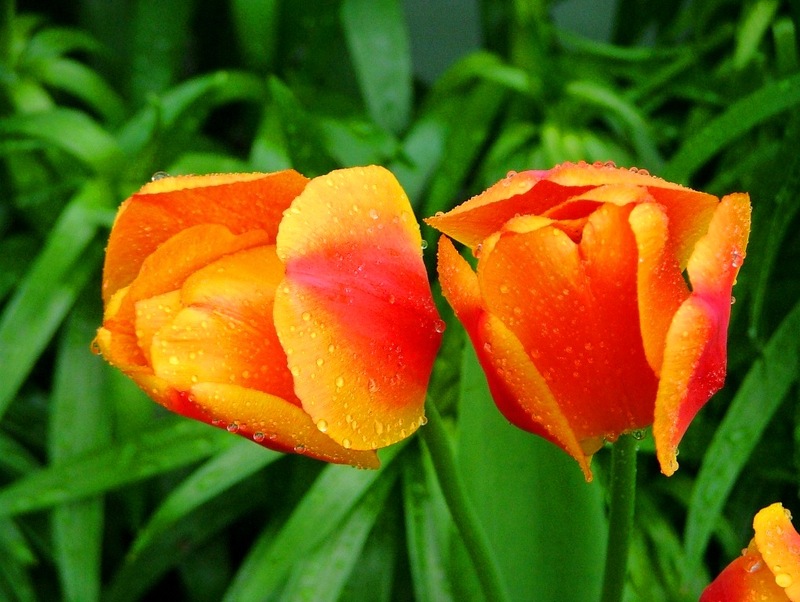 The vivid orange color of these tulips was as amazing in real life as was captured in this photograph. Taken early in the morning, this image shows hundreds of droplets of water remaining from the earlier rains. A person interested in success has to learn to view failure as a healthy, inevitable part of the process of getting to the top.